Christmas is finally here. All of the presents have been handed out. We all enjoyed some delicious food. We made some memorable holiday moments with family and friends. Now it is time to sit back enjoy and relax. What better way to pamper ourselves after all of our hard work this holiday season than with some products from Curél, Biore, and Lavanilla? Who doesn’t like their skin to feel soft and moisturized? Curél Hydra Therapy Wet Skin Moisturizer is an easy product to use. Right after you shower or bathe, simply apply the lotion to your wet skin, dry yourself off with a towel, then get dressed. This product is water-activated and has ceramides that penetrate into your skin to help with quick absorption. I really liked that this moisturizer did not leave my skin feeling greasy and absorbed well into my skin. My skin did feel hydrated and soft. It is fragrance-free so it can be used by anyone one. 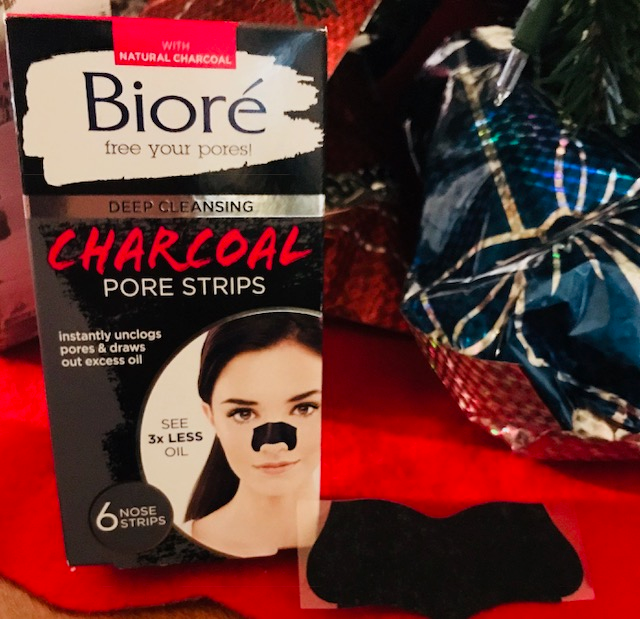 Bioré Deep Cleansing Charcoal Pore Strips is a quick way to help remove impurities and oils from our skin. You simply apply the black strip that contains natural charcoal to your wet nose, peel off the strip, smooth it on your nose, wait around ten minutes, then slowly remove it. I did notice that my nose felt smoother afterwards. As you use the pore strips more often, you will notice refined pores, less oily skin, and a diminished appearance of your pores. Now that we have soft, moisturized skin and a smooth nose, why not make ourselves feel even better by smelling good. 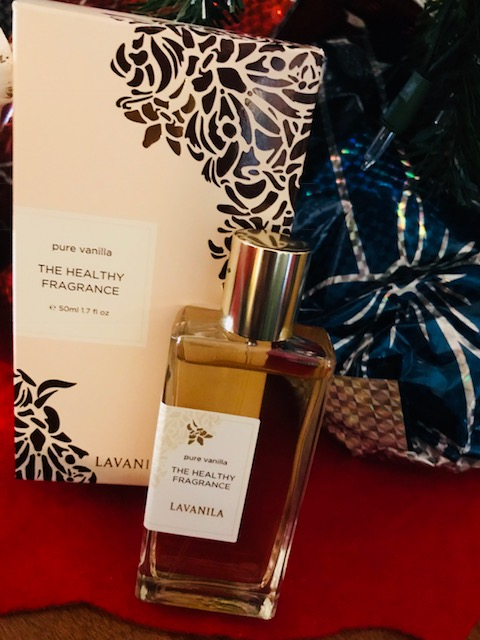 Lavanilla has a divine fragrance in Pure Vanilla that will have everyone asking you what are you wearing. Lavanilla makes all of their fragrances by hand with all natural and organic ingredients. Their fragrances do not contain phthalates, propylene glycol or aldehydes. I really enjoyed this scent. It is a pleasant and warm scent that is long lasting. Since their scents are made with organic sugar cane alcohol, natural botanical extracts, and pure essential oils even someone with sensitive skin can use their fragrances. Take a moment to pamper yourself this holiday season. Treat yourself to a new fragrance from Lavanilla, a new moisturizer from Curel, and a make your nose feel smoother with Biore. That Lavanilla fragrance sounds wonderful! 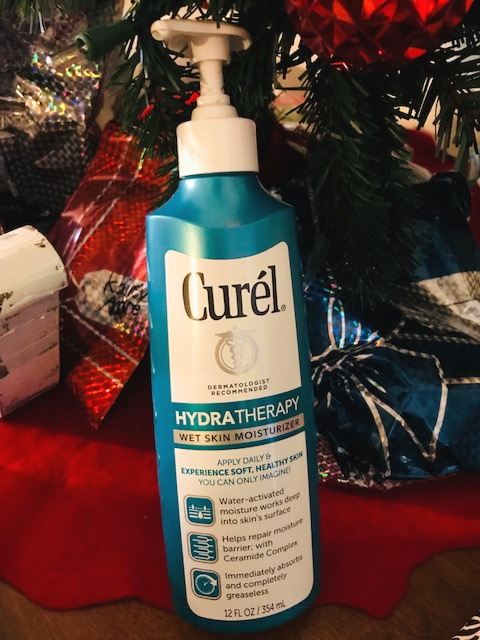 I have tried the Curél Hydra Therapy Wet Skin Moisturizer before and it is great – thank you for sharing about these products!